Polaroid has updated the instant camera for the 21st century in the past. 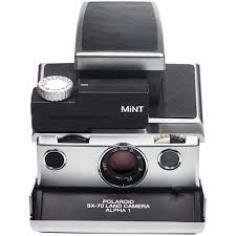 Now, it is continuing in this vein with the new Mint digital camera/printer combo device. For those not in need of a camera, Polaroid also now offers the Mint compact digital photo printer. Polaroid has announced its newest products at IFA 2018: the Mint camera/printer, as well as the stand-alone Mint photo printer. The company claims that both can deliver high-quality photo prints using the ZINK inkless system. ZINK uses the heat generated in either device to induce dye crystals of cyan, yellow and magenta to activate strategically across the photo-paper in which they are found. Thus, the Mint products can produce photos of 2 inches by 3 inches in about 60 seconds per print. Polaroid claims that the Mint camera can take pictures of up to 16 megapixels in resolution. It also has an integrated mirror for selfies, an LED auto-flash and a timer. The camera can take microSDs of up to 256GB in size, and will start at a price of US$99.99. The Mint photo printer is priced at US$129.99. It is described as compact enough to fit in a pocket. Polaroid also claims that its battery is rated for 50 photos per charge. The printer connects to a smart device via the Polaroid Mint app, and has a USB port for charging.